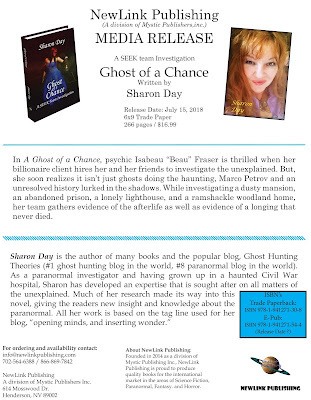 Sharon Day Books: "Ghost of a Chance! 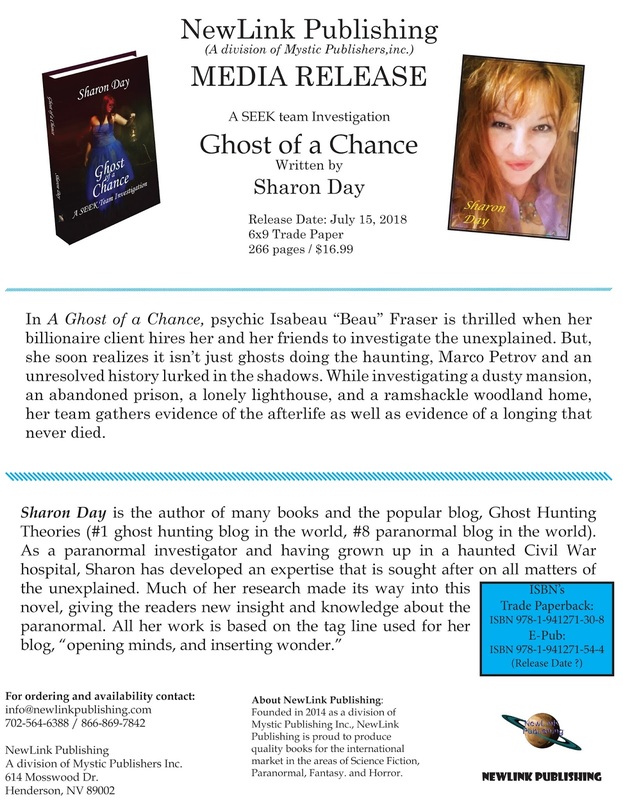 (A SEEK Team Investigation" Book to be Released! "Ghost of a Chance! (A SEEK Team Investigation" Book to be Released! The first book in my paranormal romance series will be released on July 15, 2018. Ghost of a Chance! (A SEEK Team Investigation) allowed me to utilize my knowledge of ghost research, real-life incidents, with fictional characters. I'm thrilled to see this one released to start a series revolving around a billionaire, a psychic, and a team of investigators in search of the unknown in the midst of budding romance. A special thanks to NewLink Publishing for publishing my book series and making the experience so pleasant and exciting.